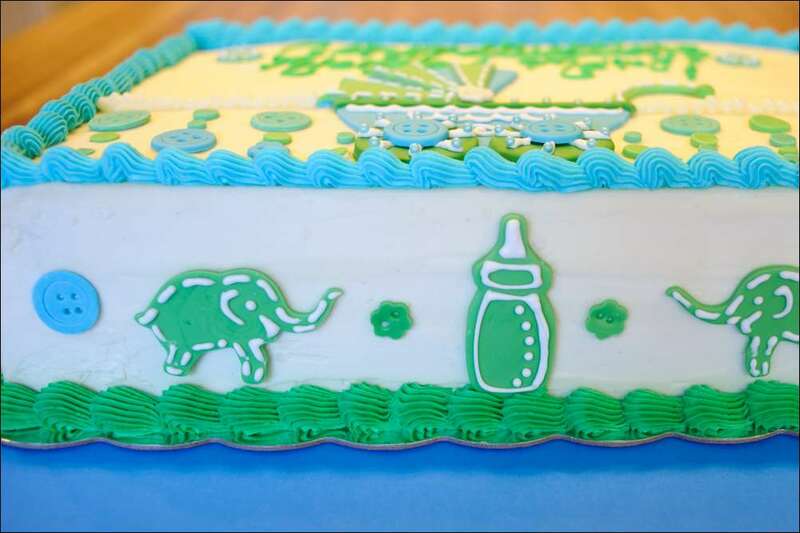 A sweet woman who is one of my Mother-in-Law’s “Quilter Girls” came to me for a baby shower cake for her granddaughter. 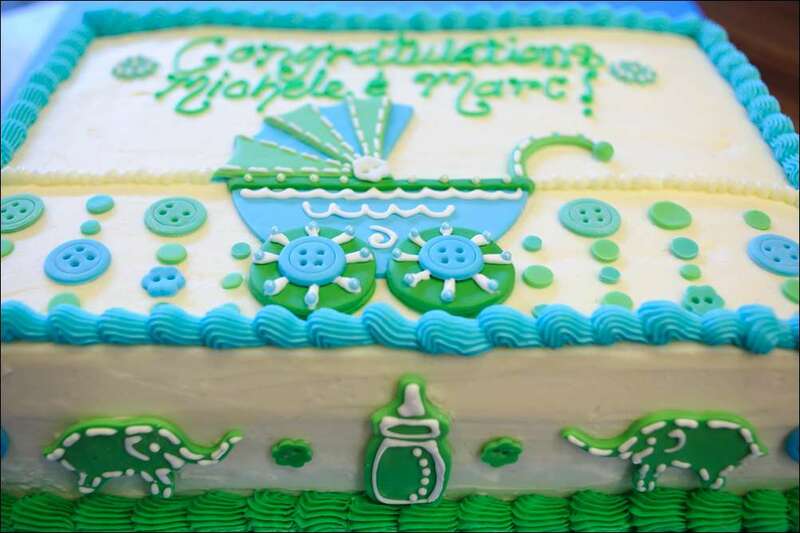 They were celebrating the impending birth of a baby boy and the theme of the shower was Disney. The mother-to-be had a few favorite Disney movies, including “Finding Nemo” and “Toy Story,” so I picked Nemo and Buzz Lightyear for the cake. 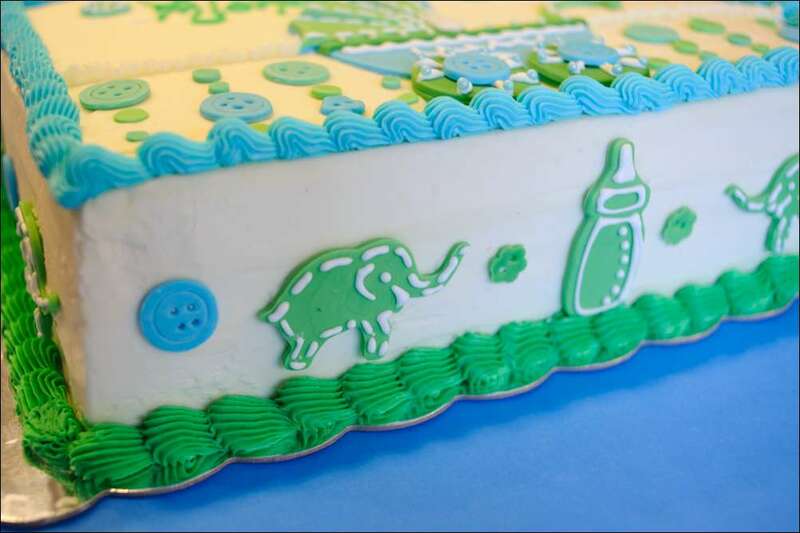 The characters are made to look like they have dimension by layering handcut fondant pieces one upon the other. I found fairly detailed pictures of the images and made a few copies onto card stock. I carefully cut out different elements of the images, starting with the parts that were “farthest” away and moving to the parts that were closest. When laid atop one another, they look almost 3-dimensional. The black details were painted on with food writer pens. This technique is fairly time consuming, but it adds a lot to a flat sheet cake and is easier than a full 3-D figure. By far, the hardest part is getting the expressions on the faces, especially with beloved characters that everyone knows like Nemo and Buzz Lightyear. My ultimate goal was for the client to recognize the character at first glance–not always easy when working with fondant. 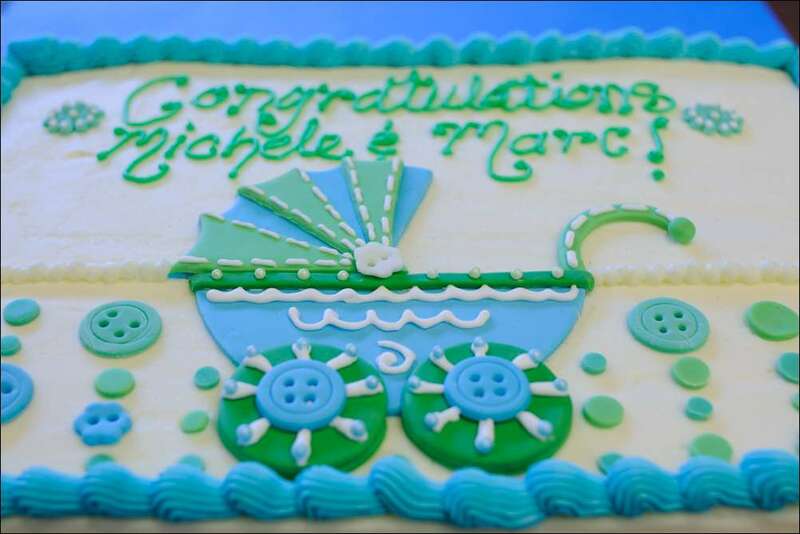 The cake was a half-sheet vanilla cake iced with vanilla-bean buttercream tinted pale blue. 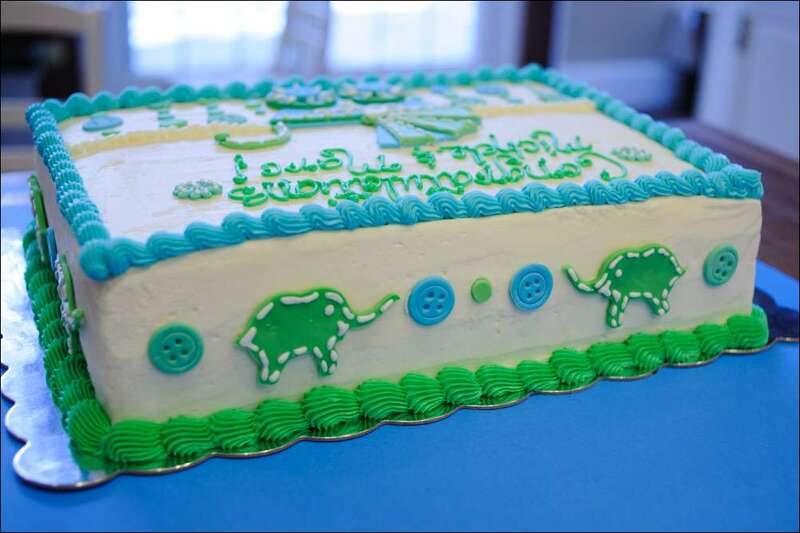 The borders and dots were buttercream and the details were cut from homemade marshmallow fondant. Welcome to the world, baby Braxton…What a cutie, huh!?! 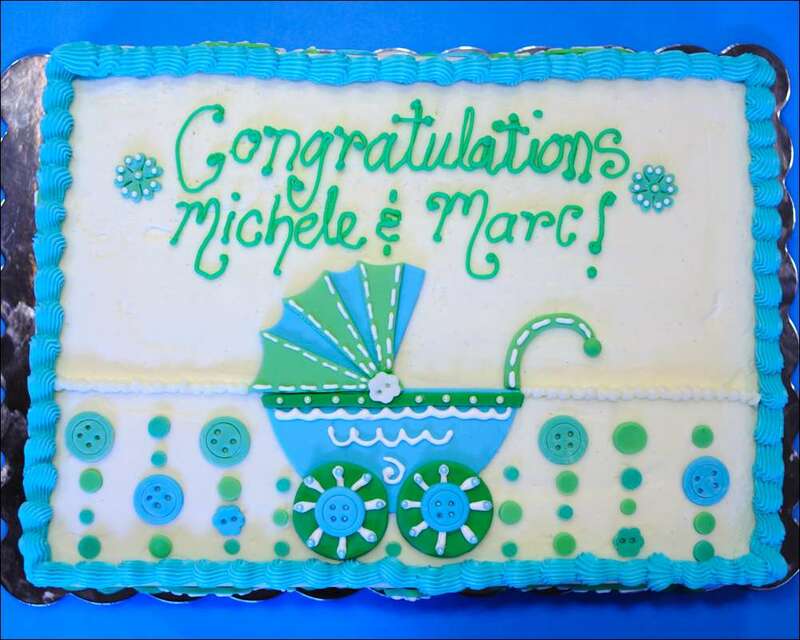 I enjoyed designing your cake!